This pleasing town, with its important and fascinating market, is a fine place to base yourself for several day's exploration, and for walking in particular. 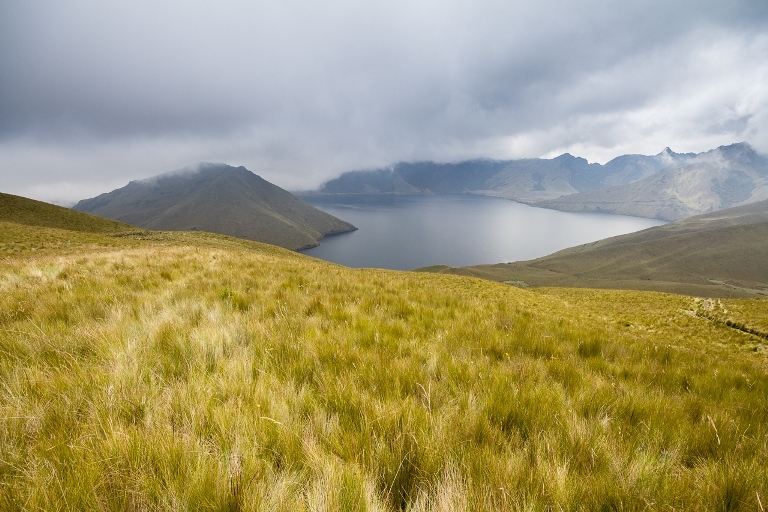 There is a plethora of great walks around Otavalo, from short explorations to multi-dayers. Mellow to thoroughly demanding, but always beautiful and interesting. 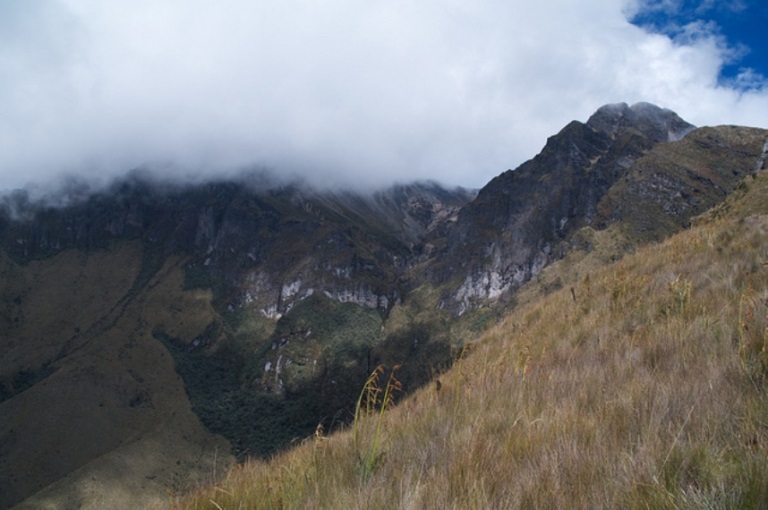 Cerro Imbabura: This exceptionally dramatic heavily eroded stump of ancient volcano makes for a superb but long, strenuous and quite difficult day walk (you don't have to climb the whole way!). Also consider the delightful and interesting 2 day circuit. 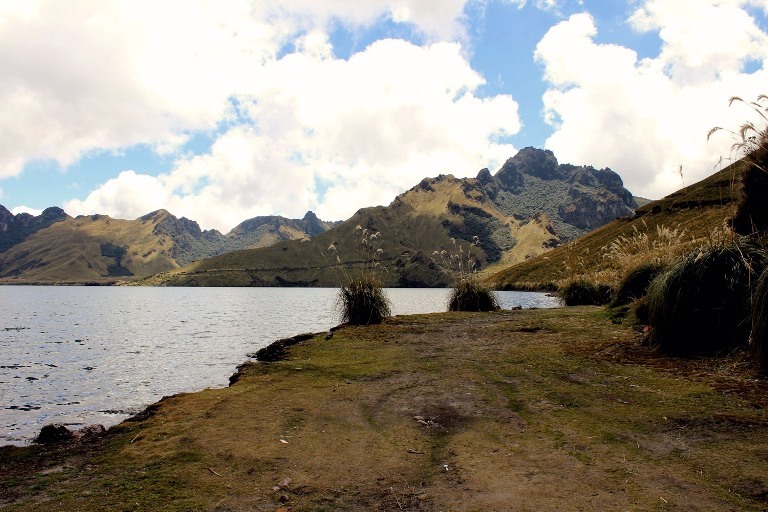 Pinan Lakes/ Yana-urco de Pinan: These lovely lakes sit on high paramo in the western Cordillera, below the superb Yana-urcu de Pinan volcano. This is a remote and beautiful area, which is worth taking time to explore and enjoy. You can circuit or climb Yana-urcu de Pinan. 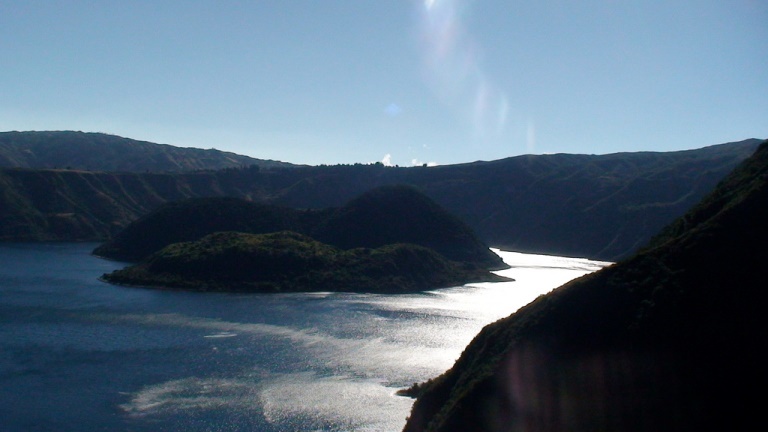 Cuicocha Lake: A four hour trek around this deep blue crater lake on the southern slopes of Mount Cotatachi. A pair of youthful islands in its centre. 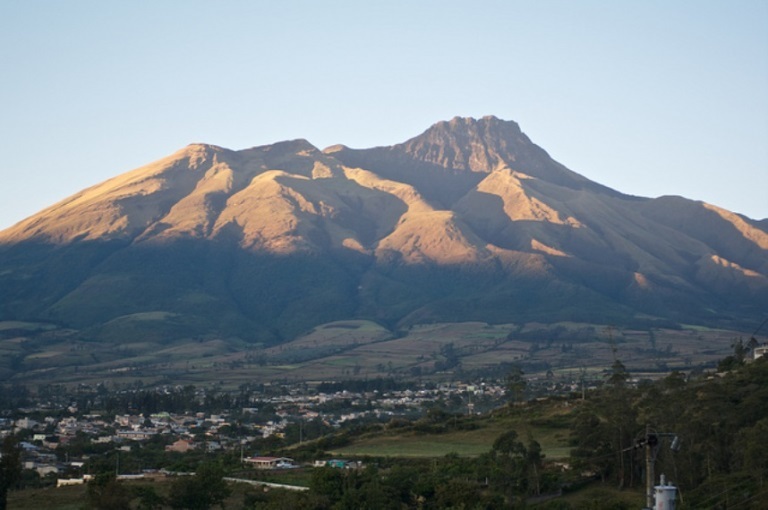 An amazing area, surrounded by volcanoes: Cayambe, Imbabura and Cotatachi. Exciting wildlife. The views from high above are exceptional, even by the standards of this exceptional area. 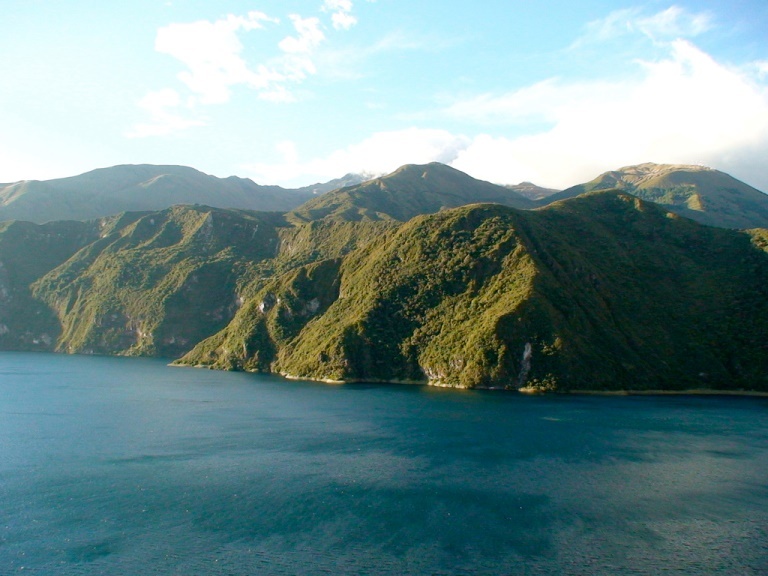 Cerro Cotatachi: Make the challenging 2 day climb of this superb eroded former volcano. 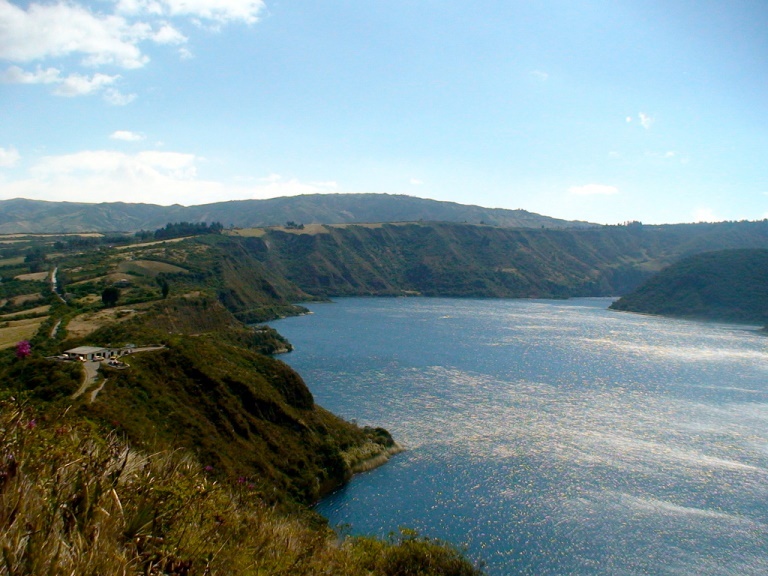 Lagunas de Mojanda to the south. 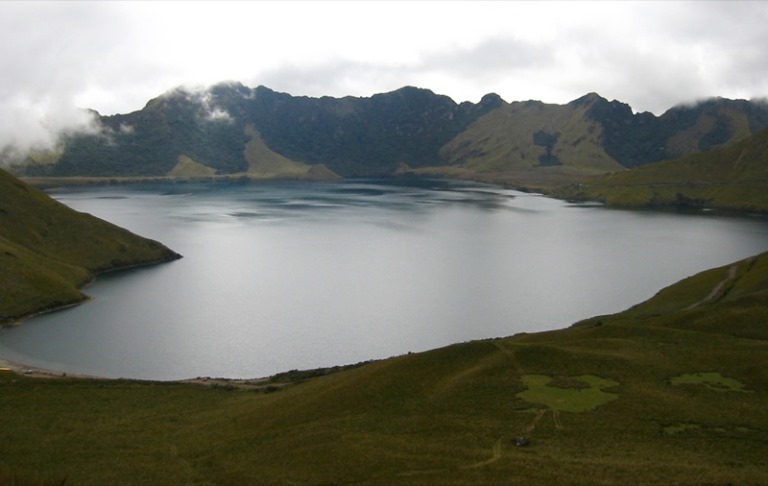 Three lakes set high in the paramo grassland under Cerro Fuya Fuya, a dramatic, broken former volcano south of Otavalo. Superb views of the surrounding mountains. Plenty of pick-your-own-trails from the lakes. 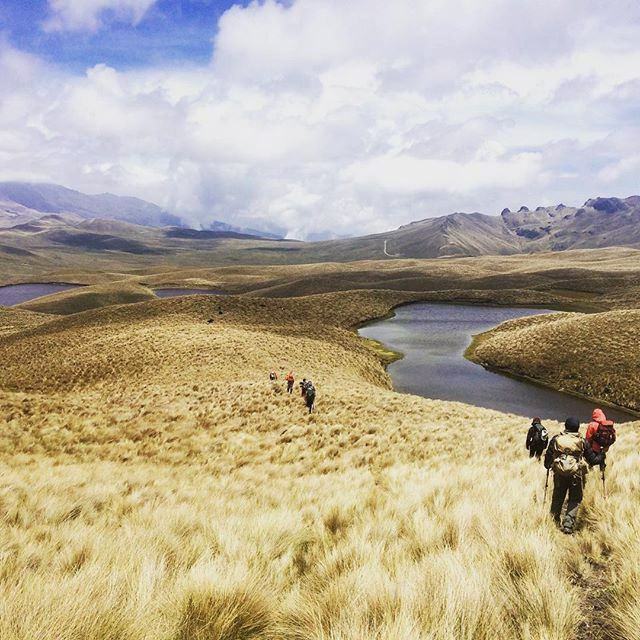 Or trek across wild paramo to Esperanza or to Cochasqui, an archaeological site. Roads and tracks: Octavalo is one of those areas where heading off on backroads and farm tracks will be hugely rewarding.